$800,000 will make a Switch version happen. 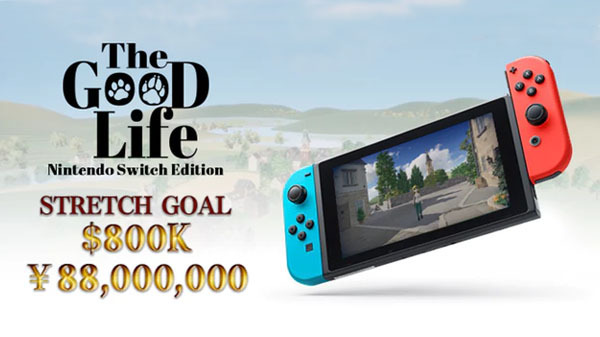 The Kickstarter campaign for The Good Life, the “debt repayment daily life RPG” from the creator of Deadly Premonition and D4, has reached its funding goal of $620,000 two days ahead of its closure date. The successful campaign means that The Good Life will be released for PlayStation 4 and PC with an estimated launch window of November 2019. If you missed it last month, be sure to check out our interview with Swery. PC, PlayStation 4, Switch, Grounding Inc., Kickstarter, The Good Life, White Owls Inc.